ChessBomb Blog: Happy Birthdaу to Ivan Sokolov! 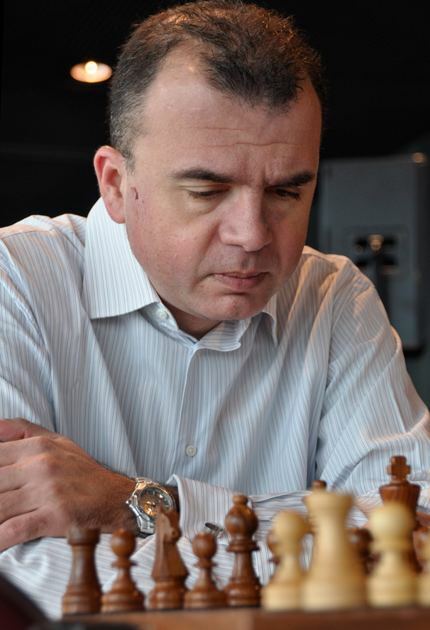 The grandmaster with Bosnian and Bulgarian origin is born on 13 June 1968. Winner in the Yugoslav Championship (1988), the Dutch Championship (1995 and 1998); Vidmar Memorial (1987, 1993) etc. His Elo rating reached 2565 and he is 434 all over the world. Author of many chess books as: Nimzo-Indian Defence, Sokolov’s Best Games, Winning Chess Middlegames,Ruy Lopez Revisitedand Sacrifice and Initiative in Chess, Typical Positions in the Middlegame. Look at Ivan Sokolov ChessBomb profile to follow his brilliant play! Labels: Happy Birthdat to Ivan Sokolov!